This is an uncertain time for the American military, just as the time around the Civil War should have been, but wasn’t. Then, increasingly sophisticated weapons had outstripped tactics, leading to mass slaughters on scores of battlefields. Indeed, the history of the American military is to be well prepared to fight the last war, but be something approaching clueless about future threats. That pattern repeated itself in the months and years after the 9/11 terror attacks, which saw an American military still primed to fight the battles of the Cold War, but largely unprepared for the kind of challenges posed by small bands of radicals bent on mass murder. That is the kind of challenge that Defense Secretary Chuck Hagel is facing head-on, and while that work is both important and necessary, it comes with its own risks and uncertainties. Hagel proposed this week to shrink the Army to its smallest size in 74 years, close bases and reshape the remaining forces to create a more nimble military able to confront a “more volatile, more unpredictable” world. Even with those cuts the U.S. military will remain the world’s strongest fighting force. And spending for special operations troops, cyberwarfare and drone aircraft would actually increase, reflecting the realities of the modern battlefield. The need for change is obvious, but those goals will have to be pursued carefully. That means, among other things, taking into account the advice of military leaders while also understanding, as President Dwight D. Eisenhower did, that their view may be influenced by factors beyond the country’s foreseeable military needs. Hagel’s plan is to downsize the Army to a force of from 440,000 to 450,000 by 2019. That represents a decline of up to 16 percent from the current level of 522,000 soldiers, although Hagel was warned that the reduction in force may have to be greater – down to as low as 420,000 – if Congress doesn’t undo some of the damage done by the sequestration of funds last year. Republicans responded with what has become the party’s standard 21st century split personality. 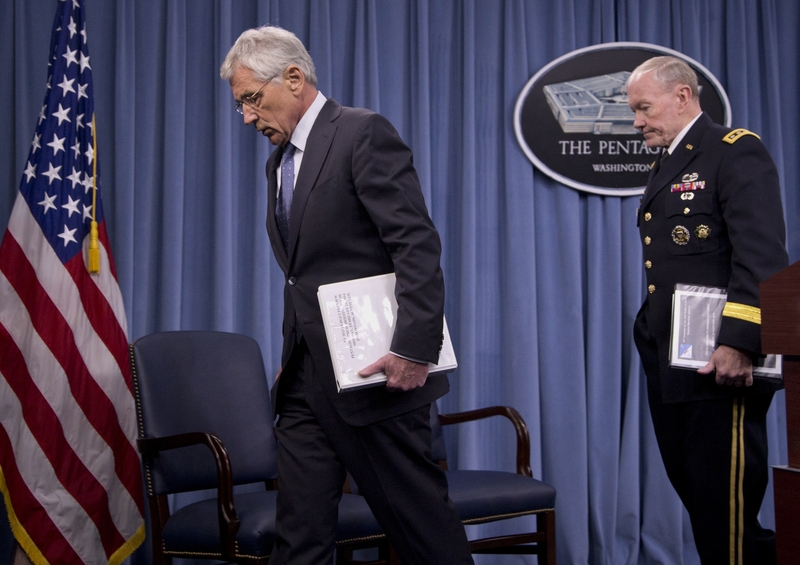 After refusing to compromise to avoid the sequestrations – and, indeed, celebrating it – party leaders criticized Hagel for acknowledging the realities of 21st century threats. “What we’re trying to do is solve our financial problems on the backs of our military, and that can’t be done,” said Rep. Howard “Buck” McKeon, R-California, chairman of the House Armed Services Committee. The fact is that the world has changed, and if the military doesn’t change as well, it can’t do the critical job that Americans need of it. It is also no crime to demand that the military be only as large as necessary so that funds are available for other uses, from tax cuts to bridge and highway repairs. That isn’t to say that Hagel has struck the right balance. There may be room for tinkering or even big adjustments. But the nation’s military is winding down from 13 years of warfare. This is the time to look at streamlining and improving the fighting force. If Congress is betting on the nation’s future security, rather than the next election, then its members are bound to recognize that the military needs to be leaner and more nimble than it is today.